Administration Site Help Documentation Public Registration allows a user to register on a site and their details are added to the application. 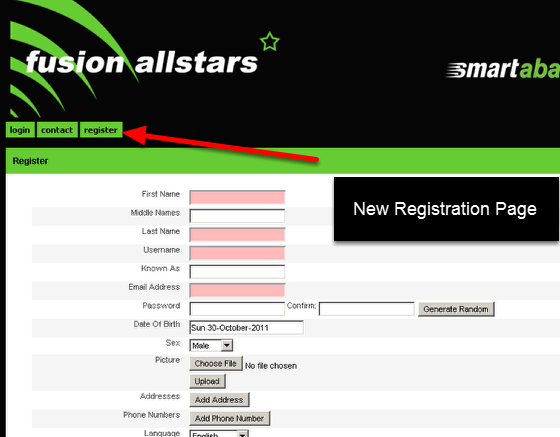 They can even be set to login automatically if you needNew Users can now Register for the system on a Registration Page. 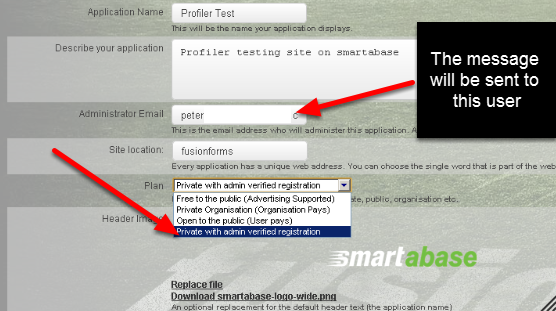 Please note that the notification that is generated when the new user/s creates a login will be sent to the E-mail address in the "Administrator's Email" in the Application Details on the Builder Site (shown here). 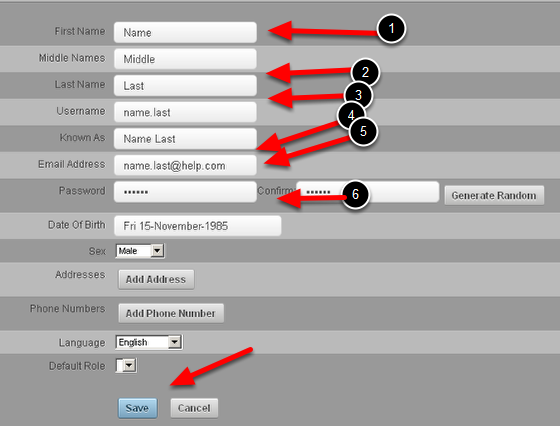 They need to complete their first name, last name, username, e-mail, password and date of birth and then click "Save"
There is a default role section that also shows on the registration page. If you have set up a Default Role/s then the user can select one of these before they click save. You can see in the image step above that the default role is blank so no default Roles have been set up, and the new users cannot select a role. If a will need to be activated by the administrator BEFORE they can login. The image here shows that two default roles have been set up here (as outlined in the next lesson) and the new user can select one of these when they complete their registration information. -Login in immediately after registering because the default role is set to autoactive and is set up with permissions to access the site. 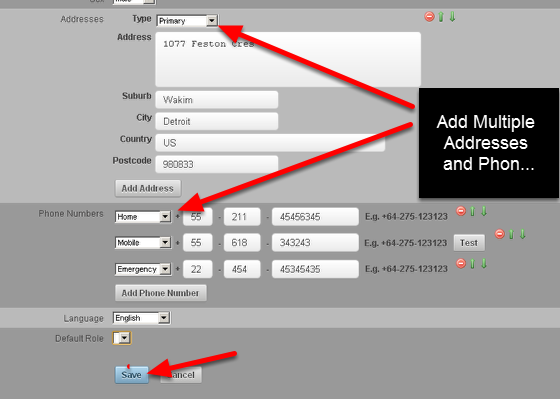 -Need to be added to a Group and be given permissions to access the site and also be activated. The User clicks on Save to enter their details which are Automatically Stored on the Administration Site and the Administrator receives an e-mail specifying that a new user has registered. 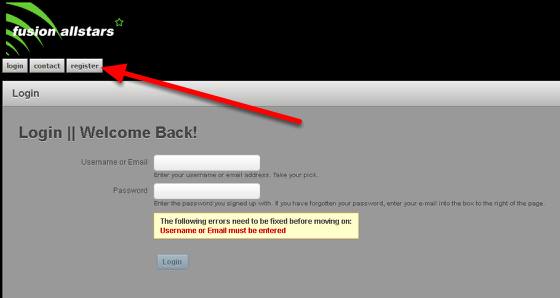 The Administrator will receive an e-mail notification that a new user has registered for the site. See the next lessons to understand more about Default Roles and what you need to do when you receive a notification.